The unthinkable—at least from inside my bright blue bubble—has happened and now Donald Trump is going to be our next president. As you may recall I was am a Hillary fan girl. 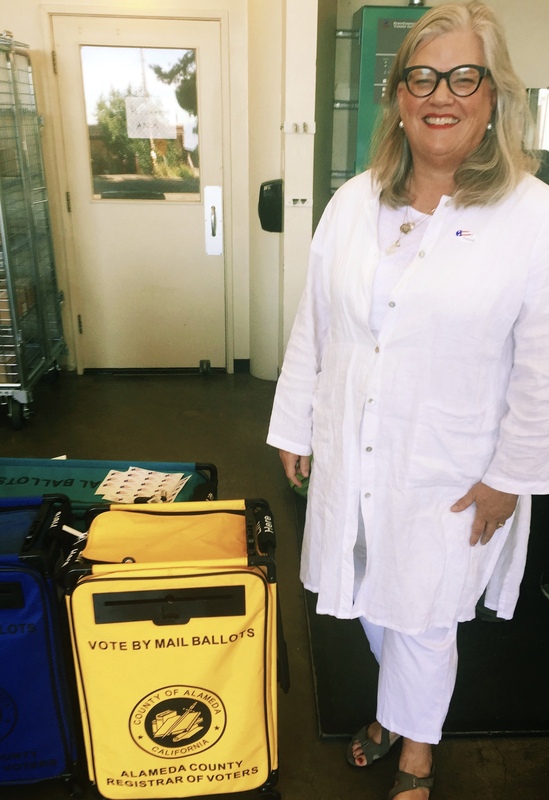 A week ago I put on my suffragist whites and drove to my local polling place to turn in my ballot. As well as MJ’s. Because when he’d offered to drop mine off earlier that morning I’d said no, that this was an historic day and even though we’d filled out absentee ballots in advance I was going to go to a polling place in person and vote for the first woman president! I went out to lunch with my sister to celebrate. We ordered the dessert sampler because it was a day to pull out all the stops. Both of my girls called and we happily chatted about the election night parties they were either throwing or attending that night. MJ had a class to teach so I settled in by myself to watch the results. But since it wasn’t even dusk here in California I decided I’d catch up on Jane the Virgin and Crazy Ex-Girlfriend until the news called it for Hillary. The ultimate Girls Night In. Then my phone started pinging. “What the heck is going on with this election?” texted my sister, coming as close to swearing as a good Mormon girl can come. “Is this the way elections always go?” from my son who was voting in a presidential election for the first time. “YOUR DAUGHTERS ARE NOT IN A GOOD PLACE RIGHT NOW,” from one daughter. “Apparently I know nothing,” from the other referencing our earlier conversation where she’d blithely said she wasn’t worried at all about the election outcome. I quickly turned over to the news coverage and saw that, indeed, very few of the people I regularly read or listen to knew anything about how 47.5% of Americans who voted would vote. The morning after the election I was as dazed and disoriented as Barron Trump had appeared when his father accepted the presidency. I forced myself to attend a demonstration about decorating with materials foraged from wild spaces. But first I consoled the woman who comes every other week to clean my house about the possibility of her husband being deported, his papers filled out but never filed, or maybe even her daughter who was born here in America. 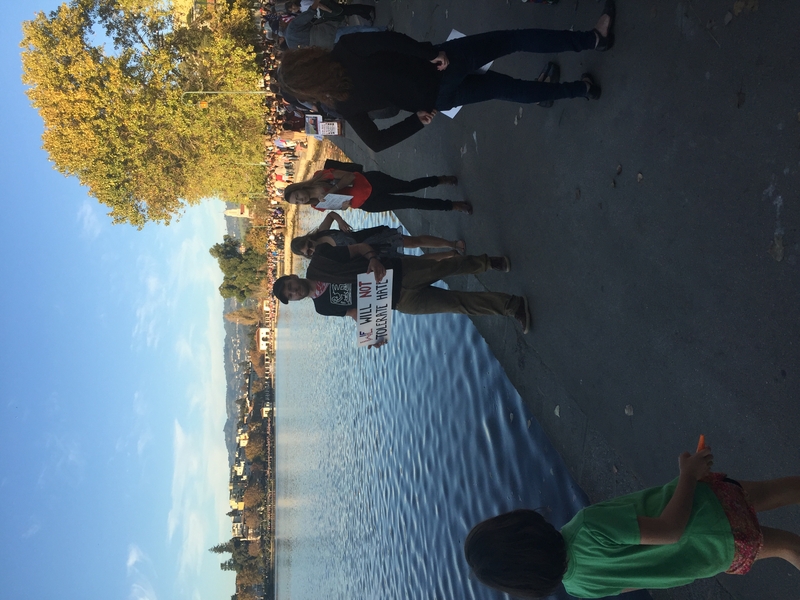 At the demonstration, tearful women cautiously sidled up to each other trying not to offend those in the group who might also be quietly celebrating that day. Everyone cheered when I won one of the raffled floral arrangements—a crown-like succulent sitting on top of a black and white vase. The rest of the week I kvetched and commiserated and sought out chagrined experts analyzing what went wrong. I read about country vs. city folk and thought of the boarded up main street of my hometown in Idaho. I teared up at the earnestness of “Leslie Knope” when she loses an elementary school election to a cartoon character named Dr. Farts. I agreed that Trump had superior storytelling strategies (even if I hated the tales he told) and realized that though I supported Hillary, I couldn’t find a message in her campaign that would comfortably fit on a ball cap—which is, according to filmmaker Michael Moore, what this election was all about. I know people who voted for Trump. I’m related to some of them. 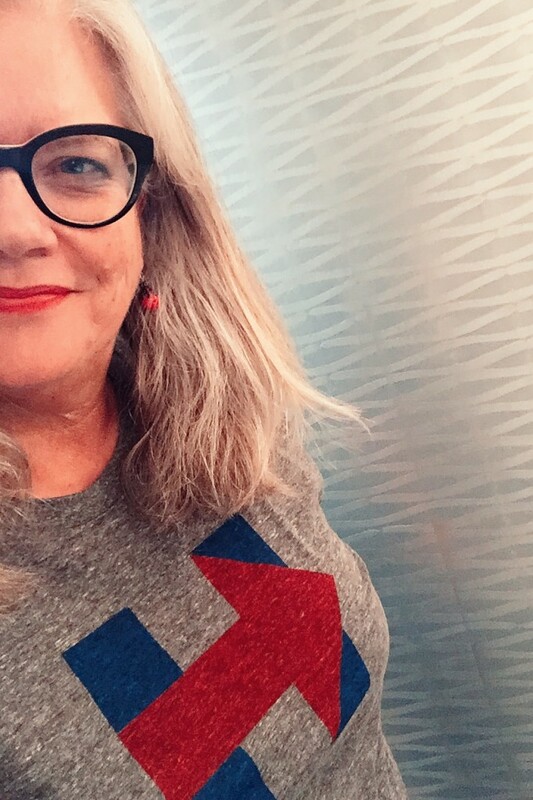 One chided me the night before the election for posting a selfie in a Hillary t-shirt. “You were raised better than this.” Others are friends that are some of the kindest, most generous people I know. It remains a mystery to me how they can compartmentalize Trump’s misogynistic, xenophobic, bigoted statements the way they do. But then, they probably think I’m just as blind when it comes to Hillary’s foibles. And yet, if we’re in the business of weighing sins, I can see no parity. And if we’re going to use a separate scale to judge competency and experience, in my mind there’s no contest. But those calculations are in the past—and now what do we do going forward? I’m starting with small acts of kindness like welcoming an older woman who moved in next door, writing a yelp review for my El Salvadoran handyman, and sending money to charities that work to protect our planet and support refugee and womens’ rights. I’m keeping my ears and eyes open for larger ways to contribute from my clearly privileged perch. All the while noting the beauty that continues to manifest even in the darkest times—dogwood leaves glowing red against the blue November sky, pockets of orange pyracantha berries revealing themselves along the freeways, an amber super moon rising above the greening hills. 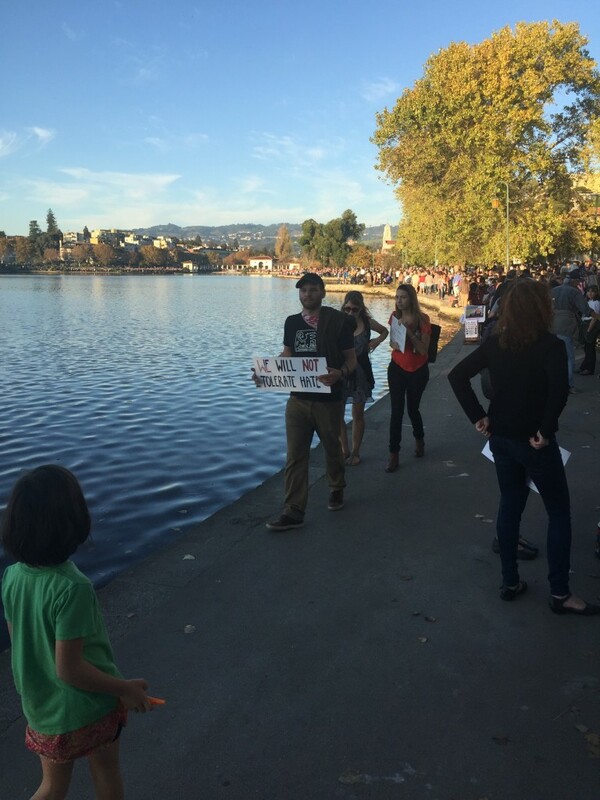 This past Sunday I drove down to Lake Merritt—a heart-shaped lagoon in the middle of Oakland—and stood with thousands of mourners as we clapped and held hands and sang “Imagine” on a beautiful fall day when it seemed like nothing bad could ever happen in this world. Kumbaya! Hallelujah! As I returned to my car a family carrying a large American flag walked ahead of me. The father held his young son’s hand as his daughter skipped a few steps behind, the red and white stripes flowing over her. We’d all done what we could that day to give peace a chance. This entry was posted in Shelter, Spirit, Sustenance and tagged election day, protests, voting. Bookmark the permalink. Post a comment or leave a trackback: Trackback URL. Shocking to be sure, but we need to know that things aren’t that rosy in the Rust Belt or the heartland these days. We left them behind, so Trump happened.